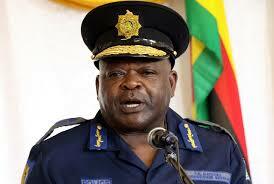 THREE deputy police commissioner-generals — Innocent Matibiri, Josephine Shambare and Levi Sibanda — together with two commissioners were on Friday reportedly retired from the force amid indications that the organisation will be instituting a raft of further changes over the next few months. The removal of Matibiri, a nephew of former President Robert Mugabe, Shambare and Sibanda leaves Stephen Mutamba as the only deputy to Police Commissioner-General Godwin Matanga. Their retirement, according to sources, delayed the start of a graduation ceremony at Zimbabwe Republic Police Staff College last week as Matanga had to engage with his outgoing deputies. The purge is reportedly targeted at police officers who have reached the age of 50 or have served the force for over 20 years. “The commissioner-general had to engage with those who were being relieved of their duties and, also, the speeches which had been prepared before the writing of letters were supposed to be changed, as they were no longer part of the programme since they had been retired,” a senior police officer privy to the goings-on in the force said. Since the departure of Mugabe in November last year, the police force and the Central Intelligence Organisation have retired senior officers. Police spokesperson Assistant Commissioner Paul Nyathi referred all questions relating to the dismissals of his bosses to Senior Assistant Commissioner Charity Charamba, whose mobile phone went unanswered.